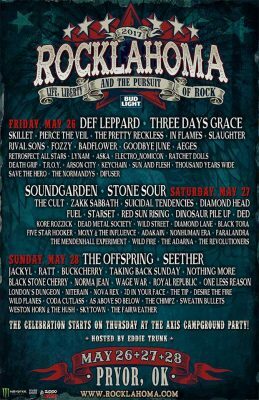 TROY plays two shows for Rocklahoma 2017 on Memorial Day Weekend! TROY Nation! We are pumped to be returning to the Memorial day weekend party at Rocklahoma 2017 in Pryor, OK! We will kick-off the weekend at the Campground Pre-Party on Thursday May 25th and will play again on Friday May 26th. Thursday we will be on the Camp Jager stage at 3pm and will be the first band to play music of the weekend! Friday we will be rockin’ on the Retrospect Records stage at 3pm. We would like to send a big thank you to the folks at Retrospect Records for having us and treating us so well. We can’t wait to ROK with new and old friends alike! Be sure to stop by the merch booth and pick up your needed TROY gear – we will have bags and tanks just in case you forget yours! The TROY team will be hanging out for the entire weekend so be sure to look for the TROY tent with the dead skull symbol and come say hi! We will see you in the sun! Keep on, rockin’ on! 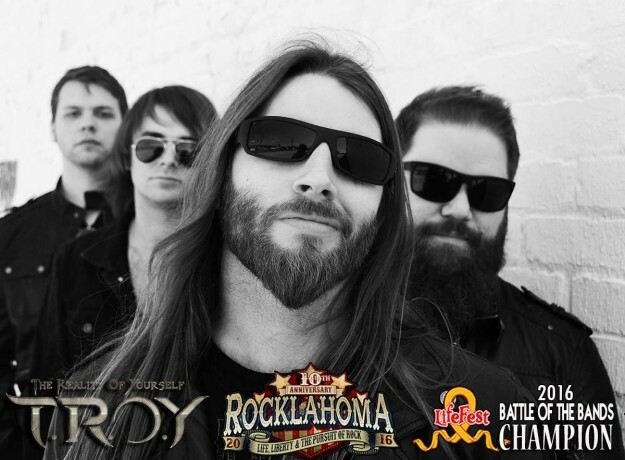 TROY Joins Rocklahoma 2016 Lineup! 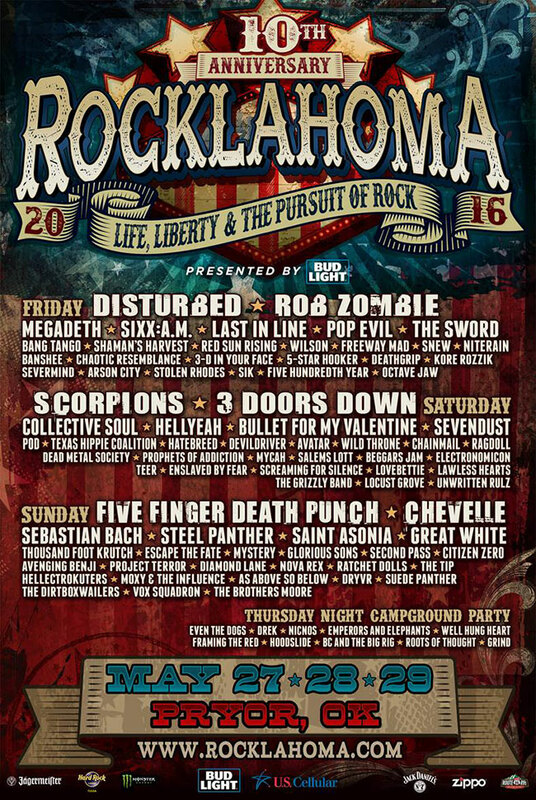 See you Memorial Day weekend for the long awaited Rocklahoma 2016! 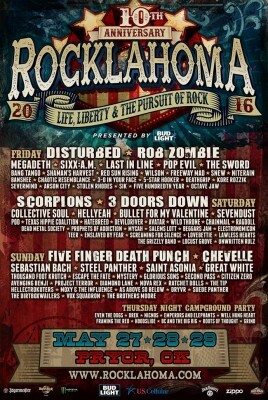 We are so excited to be joining Rocklahoma 2016 in Pryor,OK! We will help kick-off the weekend at the Campground Party on Thursday May 26th and we will officially start the festival on Friday at 12:00 pm. Thursday we will be on the Camp Jager stage and Friday we will be rockin’ on the Axis Entertainment stage presented by D&B Processing.We would like to send a big thank you to the folks at Lifefest SEK for making this opportunity possible for us. Lifefest SEK is an annual music festival in Cherryvale, KS that originated in 2012 that raises money for children with cancer and other chronic illnesses. As part of their festival, Lifefest hosts a battle of the bands (BOTB) in which the winners can win a spot on Rocklahoma. We feel honored that we were picked as the 2016 BOTB winner and again would like to send a big thank you to Lifefest SEK and to all of our fans who supported us at the show. Not only that but we would also like to say congratulations to Lifefest SEK for raising nearly $4,000 for their family in need this year – we love that music can bring people together for such a good cause! TROY has been on the move this year rolling into summer after the spring Deadman’s Tour. Having already played some huge shows with great bands including several with Shaman’s Harvest and the recent debut with Black Stone Cherry, we look forward to an opportunity like ROK to join some more of the best bands in rock. Check out the lineup on the flyer above and follow the link to find the officially announced schedule. If you or someone you know is going to be kicking it at Rocklahoma this year make sure to look for the TROY merch tent and come say hi! Rock on, TROY nation!